Rectangular shaped with a simple design, this Mission style sofa table is a stylish addition to your home. Featuring softly tapered legs and square spindle sides, it has just the right touch of decorative detail. 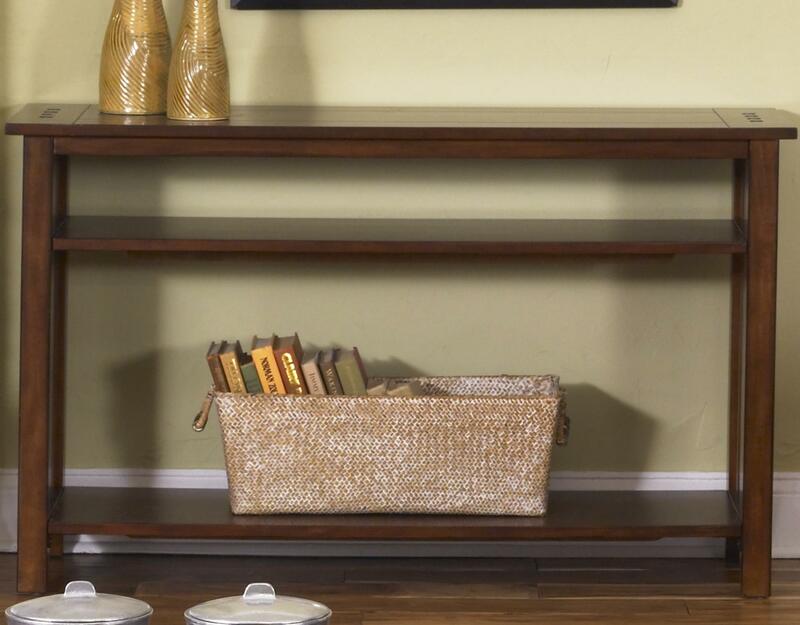 Two lower inlay shelves provide space in addition to the table top for home accents and decor. 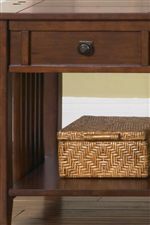 Place your favorite books, accent baskets,or even your DVD and Blu-Ray collection in an organized fashion with this sofa table. Warming with a satin Cherry finish, outfit your living space and add extra storage space with this charming occasional sofa table. 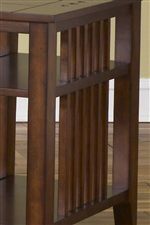 The Prairie Hills Rectangular Sofa Table with 2 Lower Shelves by Liberty Furniture at Northeast Factory Direct in the Cleveland, Eastlake, Westlake, Mentor, Medina, Macedonia, Ohio area. Product availability may vary. Contact us for the most current availability on this product.